A climate of disruption is constantly changing how we watch the weather. In this episode, let’s open the almanac and see what’s in the forecast. When it comes to severe weather, every second counts. And giving people enough time to prepare can save homes, communities and lives — data, leads to insights, leads to predictions. It’s no wonder that, as long as we’ve been watching the skies, we’ve been trying to forecast the weather. The Chinese charted it in a calendar, the Greeks laid out “Meterologica,” in the early U.S., the “Old Farmer’s Almanac,” and in Britain, mathematical formulas. The grandparent of the modern computer was ENIAC, until then, the first computers weren’t machines at all – they were jobs. And the greatest “computers” of their era? Women. And did they ever develop a detailed understanding of ENIAC. It was invaluable to meteorology – and nuclear weapons development. By 1950, they’d created the first successful computerized forecast. Together with satellites, they’ve paved the way for modern, more accurate weather forecasting. Today, weather forecasting has become a highly digitized pursuit. More than a coin-flip’s chance of being correct, today’s forecasts are accurate 86% of the time. We don’t miss major storms the way we used to. And social media, barometric monitors in smartphones, and supercomputers make sure of it – in real time. Weather data can now be used in unlocking patterns in consumer habits, thought patterns, and forecasting rain or shine days in advance. The road to forecasting perfection may be stormy, but we can see those storms more clearly than ever before. Dell Technologies (DT): Walter, as we’re recording this Trailblazers episode about disruptions in weather forecasting, the devastation left behind by Hurricane Harvey is all over the news. What are your thoughts as we’ve just wrapped the episode? Walter Isaacson (WI): Every now and then when I’m looking at a hurricane in the Gulf of Mexico like Hurricane Harvey, I marvel at how good the weather forecasting is and how well we can now track these storms. But then, of course, the hurricane sometimes has a mind of its own and it makes you realize how every little twist and turn of a hurricane that isn’t predicted can really devastate people’s lives and also the economy. No two hurricanes are alike. I remember with Hurricane Katrina, we in New Orleans thought we had dodged the bullet as it passed. But then the levees broke, and huge walls of water rushed through the city. With Hurricane Harvey, it wasn’t breaking levees, but large amounts of rain that submerged neighborhoods of Houston. DT: Can you tell us a little bit about your personal experience with Hurricane Katrina? WI: I remember when I first came back into New Orleans. I had gotten to Baton Rouge and then helicoptered in. We hovered over the house that my family lived in on Napoleon Avenue, right in the heart of the city. We could see there was at least ten feet of water in the house, and some of our neighbors’ houses seemed totally submerged. And I started to cry. I started to feel like maybe this city—a city I love deeply—will never come back. It was a testament of the resilience of the people in New Orleans and the love they have for the city that, month after month, for years, they spent time rebuilding each of the city’s neighborhoods. DT: Would you say there were any learnings that impacted the rebuilding of New Orleans? WI: The Louisiana Recovery Authority, which oversaw the rebuilding after Katrina, was a way that we tried to spend the money in a really smart fashion. We built houses a little bit more elevated from sea level. We rebuilt the school system in a way that was safer, and we tried to use the storm as a way to build a better city. But it took us a long time, and it was neighborhood after neighborhood that really had to pull themselves back up. It was really five or six years until the New Orleans Saints finally won the Super Bowl that we could rest assured that the city was going to come back! 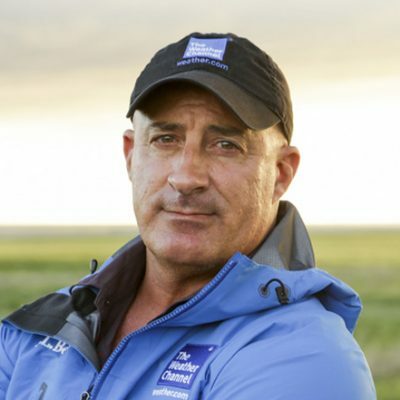 Jim Cantore Is an on-camera Meteorologist and Storm Tracker at The Weather Channel. He’s been on call to report mother natures latest temper tantrum for over 30 years. 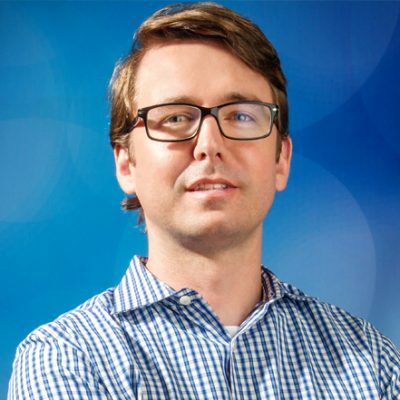 Cameron Clayton Is the general manager of IBM's Watson Content & IoT Platform, with oversight of The Weather Company. Prior to this role, he served as CEO and general manager of The Weather Company. 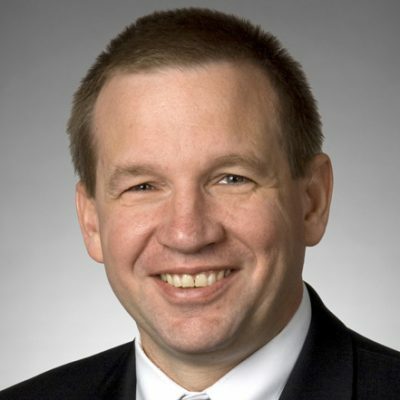 Tim Gasparrini Is the Commercial Civil Space Deputy, and Vice President and Program Manager of Weather and Remote Sensing for Lockheed Martin Space Systems Company. He previously worked as the Director of Space Explorations Systems. 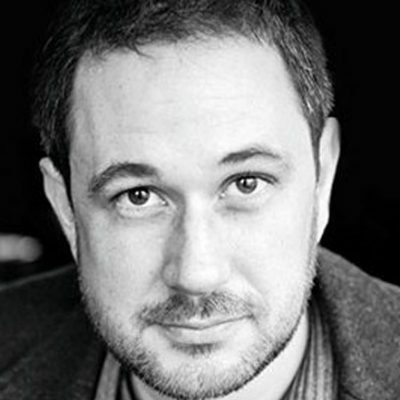 Peter Moore Is an English Historian specializing in the 18th and 19th century. He is the author of The Weather Experiment: The Pioneers Who Sought to See the Future. 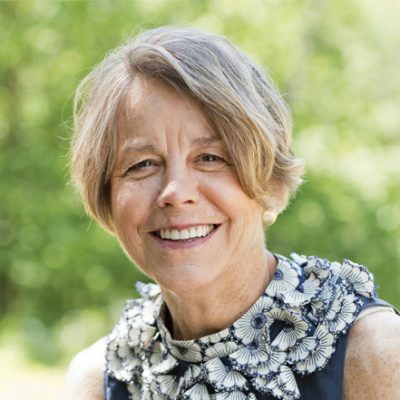 Janice Stillman Is the 13th and first female Editor of the Old Farmer’s Almanac, a publication that was founded in New England in 1792. Dr. Paul Roebber Is a distinguished professor of mathematical sciences at the University of Wisconsin- Milwaukee. He is also the founder of Innovative Weather. 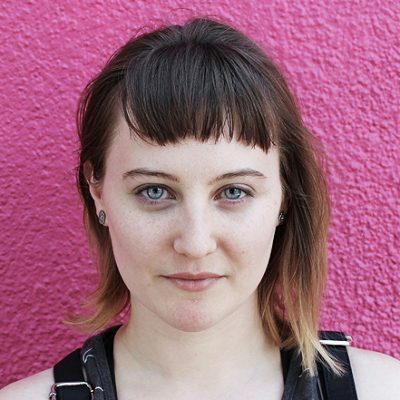 Sarah Witman Is a freelance science writer and a writer with the New York Times' Wirecutter Reviews. WALTER ISAACSON: By 1916, World War I had settled into a brutal stalemate. In the cold, muddy, rat-infested trenches of France, a thirty-something English ambulance driver immersed himself in page after page of scientific calculations. He was Lewis Fry Richardson, until recently a director of research in Britain’s Meteorological Office. On this day, he was an off-duty driver in the Ambulance Corps. His Quaker beliefs had prevented him from volunteering for a combat role. So when the government turned down his request for a leave, he quit and joined the ambulance corps in France, but not without packing his slide rule, notes, and instruments. In 1904, a dozen years before Richardson took up the task, a Norwegian physicist, Vilhelm Bjerknes, had theorized that such an approach was feasible, factoring in changes in air pressure, temperature, density, humidity, and wind velocity. The trouble was measuring atmospheric turbulence requires a staggering number of variables and a mountain of calculations, neither of which fazed Lewis Richardson. His goal was to create a formula for predicting the weather six hours in advance. The day he chose to test his formula on was May 20th, 1910, six years earlier, using extensive data Bjerknes had collected at 7:00 A.M. that day. Richardson already knew the outcome. The question was could his formula successfully predict it using that 7:00 A.M. data. Not only did the six-hour forecast take weeks to calculate, but it was wrong. In fact, it wasn’t even close. Five years later, Richardson did an extraordinary thing. Casting his ego aside, he published the results of his calculations, errors and all. His hope was that others might one day build on his work and his mistakes. Sure enough, time would prove him right, though it would take decades. Long after Richardson’s death, a mathematician added a few tweaks to Richardson’s calculations and proved that Richardson’s model worked. Lewis Richardson, building on the theory of Vilhelm Bjerknes, had parted the clouds that had confounded shamans, scientists, and clerics for thousands of years. He had paved the way for a mathematical revolution in meteorology and for the digital disruption that is today overtaking weather forecasting. 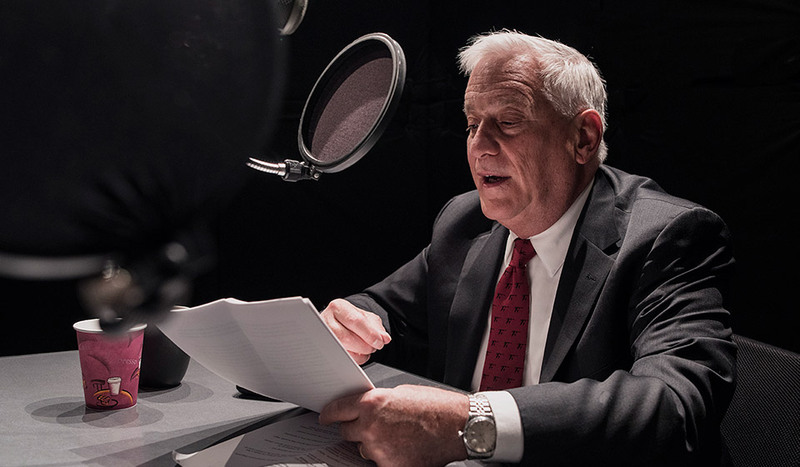 I’m Walter Isaacson, and this is “Trailblazers,” an original podcast from Dell Technologies. ANNOUNCER 1: Climate is a great invisible regulator in our lives. MAN 1: Temperature, humidity, and wind velocity. MAN 2: I’m going to keep an eye on these clouds. MAN 3: Even radar is employed in tracking the weather. MAN 4: This is an emergency call. I want the [INAUDIBLE] Weather Bureau, Main 2-100. ANNOUNCER 2: We interrupt this program for a special announcement. WALTER ISAACSON: If you ask the team at the National Oceanic and Atmospheric Administration, or NOAA, this is the sound of lives being saved. MAN: And liftoff of NOAA’s GOES-R, America’s most advanced weather eye in the sky, elevating environmental intelligence to new heights and saving lives. WALTER ISAACSON: Tim Gasparrini is the vice president of the weather satellite program, GOES-R, at Lockheed Martin. TIM GASPARRINI: So the typical average warning time for a tornado in the United States is around 13 minutes. And we’re hoping that we can get up to doubling the warning time, so somewhere in the 20 to 25-minute range, which is a huge improvement over what’s currently available. WALTER ISAACSON: Better we ather prediction has the potential to save lives, but not before some bumps. Ironically, the satellite’s initial launch date was delayed by a hurricane. TIM GASPARRINI: Here we have the premier weather satellite, and we have it down at the launch site at Kennedy Space Center. And Hurricane Matthew decides to pay the launch site a visit. There was no amount of irony with the fact that we had to evacuate for a hurricane when we’re building a weather satellite. WALTER ISAACSON: Considering the stakes, the $11 billion price tag of a satellite like this one can seem like a bargain. As we’ve recently seen, weather makes and breaks livelihoods, brings life and death, and can change history over years or in mere minutes. Last year, there were more than 126,000 weather-related deaths in the US alone. The 14 biggest weather events from storms, floodings, and tornadoes to famine and hail caused nearly $50 billion in damages. The devastating effect of Hurricane Harvey is still being felt in whole neighborhoods of Houston that are struggling to rebuild. It’s no wonder that as long as our species has looked up to the sky, it has sought ways to predict the weather. In 300 BC, the Chinese used a calendar, dividing the year into 24 parts, each associated with its own type of weather. Meanwhile, in Greece, Aristotle had produced a work called “Meteorologica.” Though hit and miss by the standards of modern science, many of his ideas lingered well into the 1700s. By then, colonial America had found another go-to weather guy. Robert B. Thomas was a Massachusetts man with a small farm and a large library, at least by the standards of Shrewsbury, Massachusetts in the 1790s. Thomas’s passion for astronomy and his firsthand knowledge of farming had finally come together. JANICE STILLMAN: So in his early 20s, he went to study with a fellow in Boston who was an almanac maker. And he’d studied the astronomical configuration of a publication. And this was in 1792. So they did the calculations for 1793. And having put all of that together, Robert B. Thomas decided to add a few more pages– a total of 46 pages, by the way– and published this little publication, this little almanac. He called it, of course, the “Farmer’s Almanac” It wasn’t old yet. It was the first edition. He printed 3,000 copies and sold them for about $0.6 apiece. And he sold out. WALTER ISAACSON: Thomas’s calendar of the heavens was an instant hit, a practical guide to farming life with an eye fixed firmly on the sun, moon, and stars. JANICE STILLMAN: They subscribed, as people still do, to planting by the moon phases. And so he provided the moon phases for them. He introduced farmer’s calendar essays in the calendar pages, which were monthly advisories on whether to spread manure, when to seed, when to harvest, when to clean your tools. WALTER ISAACSON: Plus there was, in that first edition, a new and improved way to make butter. But the bread and butter of the “Old Farmer’s Almanac” was, and remains, its weather forecasting. That was a lesson learned the hard way a century and a half earlier. When editor Roger Scaife decided to leave the forecast out, circulation plummeted. While Robert Thomas’s almanac became a staple for rural Americans, the rise of weather forecasting in Britain is a stormier tale. Robert Fitzroy made his place in history as captain of the HMS Beagle during the voyages of Charles Darwin. The tragedy is that this is how Fitzroy is remembered. He’s less remembered as a pioneer in meteorology. And many say he was the father of the modern craft. He’s credited with creating the term “weather forecast.” Under his command on the Beagle, two sailors had lost their lives due to sudden shifts in the weather. Fitzroy became obsessed with meteorology and was eventually put in charge of gathering weather data for British ships at sea. Peter Moore is an English historian. PETER MOORE: He goes into his office at eight or nine o’clock in the morning. And by that time, he will be getting sent in completed skeleton forms of little dockets which fill in all the meteorological data at different points around a country– maybe 20, 30 different places around a coast. So these will tell him things like the temperature in a place, the barometric readings, and what type of weather it is, whether it’s sunny or cloudy, so on– just some very simple weather data. And then this will be plotted out by his clerks, and he will then be passed the information, which he has to interpret. So he’s really playing the part of the big computers that we have today. Of course, the computers of today do millions of sums a second and then plot all these things out on a map. He’s doing the same job on his own with a very small secretarial staff. So you have to remember, it’s a very threadbare operation. The parliamentary records the reaction with one word in brackets– laughter. It would take a storm of the century for Parliament to stop laughing. In 1859, a severe storm in the Irish Sea took at least 800 lives. Following an outcry from Charles Dickens, among others, the telegraph was used to gather weather data. And Fitzroy would provide the world’s first gale warning service. Two years after that storm, the “Times of London” published Fitzroy’s first-ever weather forecast, calling for 62 degrees Fahrenheit and a southwesterly wind. The only knock on Fitzroy’s forecast was a big one– they weren’t very good. His hit and miss record made him a favorite target of rival newspapers and satirical magazines. It would take many generations, and the dawn of the digital age, before weather forecast would rise above the status of comic relief. MAN: Are people becoming obsolete? The giant electronic brain is starting [INAUDIBLE] at the University of Pennsylvania. It’s the world’s first electronic computer. WALTER ISAACSON: ENIAC was the grandparent of modern computers. And yes, it’s another acronym, this one standing for Electronic Numerical Integrator And Computer. Until then, computer wasn’t the name of a machine. It was a job description. And the greatest computers of the era were women. Early in 1945, the US Army circulated a pamphlet reading, “wanted: women with degrees in mathematics.” Six women were being sought to work on ENIAC, which was then top secret. Among the recruits was Jean Jennings of Atlantis Grove, Missouri– population, 104. At Teacher’s College, she majored in journalism. But she hated her advisor and so switched to math, which she loved. Joining her on the team were Marilyn Wescoff, Ruth Lichterman, Betty Snyder, Francis Bilas, and Kay McNulty. In those days, the business of computer hardware was associated with men. Matters of programming or software were often regarded as menial, and they became the domain of women. But, as it turned out, programming was anything but menial. ENIAC was the size of a room. It weighed 30 tons, required more than 17,000 vacuum tubes, and had 6,000 manual switches. The women were given a stack of blueprints and wiring diagrams and then told, figure out how the machine works, and then figure out how to program it. Soon, the six developed a detailed understanding of ENIAC. SARAH WITMAN: The word “programmers” wasn’t really a thing, but what they were doing was programming the computer. You would take these punch cards, and they would have a punch in a specific place. And it acted like binary code in computers. And you would have to enter them into the machine by hand in a very precise order. You couldn’t accidentally like lose a card, or you’d have to start all over. And they would just very precisely enter these into the machine. It was very laborious, very time-consuming, and definitely took a lot of technical skill. WALTER ISAACSON: ENIAC was poised to revolutionize weather forecasting. But it could also multitask. In fact, at the time, it was being used to calculate missile trajectories. When pressed about what it was being used for, the official answer was a meteorology project. But that came with a wink and a nod. SARAH WITMAN: They actually used this meteorology project as a cover. They didn’t want people to know that they were working on the hydrogen bomb with this computer. The official word was that like, oh, like we’re using this computer to work on this meteorology project. The meteorology project did exist, and people were working on it. But at that time, they were using it to do hydrogen bomb calculations. WALTER ISAACSON: Once the war was over, ENIAC was moved to Maryland, where the work of the computer-generated meteorology would hit its stride. In 1950, the ENIAC team created the world’s first successful computerized forecast. The 24-hour forecast had taken 24 hours to produce, but no one doubted that faster computer times were on the way. Computers were about to become indispensable to weather forecasting. But that didn’t mean there weren’t other frontiers to explore. In 1954, Harry Wexler, Chief of the Scientific Services Division at the US Weather Bureau, received an unusual letter. It was from Arthur C. Clarke, the science fiction writer and futurist. Clarke wanted Wexler’s thoughts on his idea– that a geostationary satellite might be launched to map the world’s weather. By that time, Wexler was something of a legend in meteorology. A decade earlier, he’d become the first scientist to deliberately fly into a hurricane to gather storm data. One important detail made that letter from Clarke especially remarkable. It was 1954, and the first space satellite of any kind was still years away. Wexler embraced the idea and soon championed the plan. Just six years later, on April Fool’s Day, 1960, the world’s first weather satellite, TIROS-1, was launched from Cape Canaveral. During its 2-and-1/2-month lifespan, it fed back 23,000 images of Earth and proved the value of satellite imagery in weather prediction. Now fast forward to 2017. WALTER ISAACSON: That’s Jim Cantore. During his three decades with the Weather Channel, he’s seen pretty much everything, including a thundersnow, rare lightning strikes captured on live TV during a New England blizzard. JIM CANTORE: You can have your $500 million jackpot in Powerball or whatever the heck it was. But I’ll take this, baby– four episodes of thundersnow. WALTER ISAACSON: During his career, he’s had a front row seat as weather forecasting met the internet age. That meant better data, better connectivity, and a lot more computer models– a vast difference from when he started out. JIM CANTORE: Oh, gosh. There was, like, two or three models. Think about that. We didn’t have the computers that we have today, or certainly the computer power. You couldn’t just look at a radar on your phone. You had to call up these old radars that were very low in resolution and try and guess what the storm was doing. I mean it was very, very archaic. And I remember growing up in New England. I would watch the forecasters, and they really did have about a 50% chance of being right on a winter storm…ok? Nowadays, there’s probably about an 80% to 85% chance. You don’t miss one. The details are still hard to iron out, but you certainly don’t miss a storm. A storm doesn’t sneak up on you from anywhere like it used to. WALTER ISAACSON: And while the digital technology is improving weather forecasting, Cantore believes social media and broadcast have worked together to forever change the way weather is reported, especially during a major weather event. JIM CANTORE: During a tornado outbreak, let’s say, if all of a sudden, social media gets lit up with here was literally 30 seconds ago, here’s the tornado I just saw move through Wichita, Kansas. Look at the size of that thing. Look at the damage. All of a sudden, the whole tone of everybody’s broadcast changes in an instant. Because now it’s serious. Now it’s real. That, to me, is how social media has really certainly helped my job. WALTER ISAACSON: It almost makes you wonder. With all of this new technology, will meteorologists, like Jim Cantore, begin to disappear? JIM CANTORE: The one thing I worry about is there’s been such a transition to the phone, especially in the last five years. And they do give you these hourly forecasts. They do give you your percentage of sunshine and your percentage of rain. There’s even apps out there that’s going to tell you it’s going to rain in five minutes where you’re standing. So what I’m worried about, though, is what’s in that rain? Did the meteorologist in the morning actually see that there’s a chance for a tornado to come in with the beginning of that rain, or close to the time that that rain moves in? So especially on the big weather events, where it could impact life and property, I still think you need an individual that you trust to tell you that. WALTER ISAACSON: But as weather forecasting and digital technology merge, big data and supercomputing are coming together to create more than their share of surprises. Take, for instance, raspberries. This is your supermarket. Like most others, it carries between 30,000 and 50,000 products or services available for sale. Suppose you feed the sales data over time into a supercomputer. Then suppose you correlate that data with weather trends over a period of time. Before long, some fascinating patterns emerge. Take, for instance, what a 10% change in humidity can do. CAMERON CLAYTON: When there’s a 10% change in humidity, people buy raspberries. And no one knew when people bought raspberries, and most people don’t even know that they’re doing it. But they buy raspberries when there’s a 10% change in humidity. We’re able to drive that insight through to the marketing team at the grocery store chain. And they were able to drive millions of dollars more in sales of raspberries with that insight. WALTER ISAACSON: That’s Cameron Clayton, CEO of The Weather Company. They started life as The Weather Channel in 1982. And in the 35 years since then, they have transformed how weather data is used. Today, they’re a separate company from The Weather Channel and owned by IBM. They’re using IBM’s supercomputer Watson to unlock countless connections between weather patterns and consumer behavior. By monitoring keywords in social media, for instance, Clayton’s team can analyze what people are thinking about the weather. And they can turn that into gold for marketers. CAMERON CLAYTON: People have been talking about the weather since we all lived in caves. And so it’s sort of what humans do, regardless of language, is we talk about the weather. And so Twitter is no exception. We tweet about the weather a huge amount. And so in working with Twitter, what we found is we can track keywords– rain, thunderstorms– and build a heat map of all the locations that those tweets about those key words are occurring. And if you overlay that on top of a radar map, it’s about 15 minutes behind, but it looks exactly the same. WALTER ISAACSON: For marketers, knowing what consumers are thinking about the weather can mean pennies from heaven. CAMERON CLAYTON: There’s just so many people talking about weather on Twitter that it almost becomes an indicator of what an observation source, if you like, as well as the fact that it gives sentiment to how people are feeling. And how people are feeling impacts their purchasing decisions. And so not only has it helped us with our weather forecasting, but it’s helped us with our advertising sales business as well, understand how people are feeling, and therefore their propensity to purchase different products and services. We know two days before a snowstorm, that if you put snowblowers at the front of your hardware store, you’re going to sell a lot more snowblowers. WALTER ISAACSON: Supercomputing is also helping to create more accurate forecasting by using data sources unavailable in past generations. In addition to Doppler radar, airport readings, satellites, and weather balloons, his company also draws from the personal weather station network. CAMERON CLAYTON: People would buy a $1,000 sensor, install it in their backyard, give us the weather data. And so we started going from airports, which is where all the historical weather sensors had been, to now having over 250,000 personal weather stations on the ground at each suburb around the country and around the world. WALTER ISAACSON: Meteorologists are also tapping into a rich source of data– your phone. CAMERON CLAYTON: Then we started collecting data from the phones themselves. So most people don’t realize that your smartphone will have barometric pressure sensors in them. So we collect the barometric pressure from the sensors in your phones. We use that as part of our forecast prediction. WALTER ISAACSON: It’s up to the supercomputer to digest these massive amounts of structured and unstructured data. From there, it learns, reasons, and recommends. The results have been impressive. CAMERON CLAYTON: Essentially, five years ago when we started out on this project, weather forecasting was 78% accurate. Jumped forward to current day. It’s 86% accurate. And that doesn’t sound like a huge improvement, but it really is. The economics geeks in the science community estimate that improvement to be about $1.5 trillion of global GDP in terms of crop yields and things like that globally. So it’s a dramatic, dramatic improvement in forecast accuracy. WALTER ISAACSON: As for the growth of commercial applications in weather forecasting, game on. At Miller Park, the Milwaukee Brewers are a beneficiary of a new type of boutique weather forecasting from a group called Innovative Weather. Using their own sophisticated weather models, the group provides a forecast customized to a client’s needs. 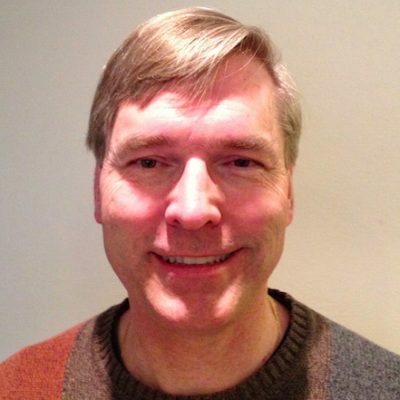 Paul Roebber, a mathematics professor at the University of Wisconsin, Milwaukee is the group’s founder. PAUL ROEBBER: The Brewers have a retractable roof stadium, so they would like to keep that open as much as possible to enjoy the summer weather. But they don’t want to be rained on if they have a retractable roof. So we have to help them manage conditions, especially when it’s probability and possibility. Is there any chance of rain? And if so, what’s the timing for that? Plus, they have natural turf, so they like to have it exposed to weather more than they would otherwise if it was artificial turf. So they have to manage all these different things in order to keep the grass healthy and to keep their fans and their ownership happy with a retractable roof stadium. So it’s very different kinds of forecast, not the kind of information that you can really extract from a public forecast very easily. And so it’s very customized, very directed to specific clients. WALTER ISAACSON: Roebber notes that 30 years ago, a weather forecast could reliably see two days into the future. Today, that stretched to five days. In cases of severe weather, a customized weather forecast can be a huge benefit to, say, a utility company. PAUL ROEBBER: With the energy companies and operational crews, when needing to restore power, we do a lot with severe weather in that way. So we warn them about when it’s more likely to develop, when they should be thinking about having more crews available. 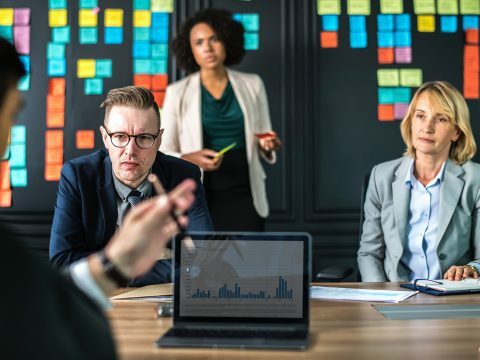 The timing of that is really important for them, because they’re keeping staff on or sending them home, and that determines whether or not they have to pay overtime. If they have to call them back, particularly, that’s really expensive for them. So I don’t know what the exact number for that is, but I’ve heard for some of these companies, it could be as much as $50,000 for a single forecast. So quite a lot of money. WALTER ISAACSON: So often, digital disruption is the story of technology uprooting the old ways, creating uncertainty, reinventing jobs, and laying waste to economic models. Weather forecasting, on the other hand, was ripe for the digital revolution, even before Lewis Richardson scribbled his calculations in the trenches of France. Only recently have generations seen the data gathering, connectivity, and computing necessary to do what Fitzroy, Bjerknes, and Richardson can only imagine– and that’s unlocking a world of new possibilities. Though the accuracy of weather prediction continues to edge upwards one nth at a time, meteorologists are completely agreed on one thing– there will never be 100% accurate forecasts. Blame the butterfly effect. From the tiniest beat of a butterfly’s wings to solar flares to the breath you are exhaling right now, there’s no practical way to measure all the factors that drive the weather. Still, there’s plenty of reason to view the rain barrel as half full. In a century and a half of mathematically-based weather prediction, we’ve gone from the 50-50 forecasts of Robert Fitzroy to about 85% accuracy today. Considering Babe Ruth hit a career .342, that doesn’t sound too bad. I’m Walter Isaacson, and this is “Trailblazers,” an original podcast from Dell Technologies. If you enjoyed the show and want to hear some of my thoughts about my experiences with Hurricane Katrina, and most recently Hurricane Harvey, visit delltechnologies.com/trailblazers13. That’s trailblazers and the number 13. Next episode, we’ll be looking at the world of air travel from the glamor and glitz of airlines like Pan Am to the era of ultra-low-cost, no-frills travel of today. You can subscribe to “Trailblazers” in Apple Podcasts or wherever you get your podcasts. And if you like it, please leave us a rating and a review. It will help new listeners discover the show. Thanks for listening. See how Columbia Sportswear is redefining how outerwear gets designed using their 3D lab, powered by the cloud.